Kate's purple polka dot reception theme is so fun! 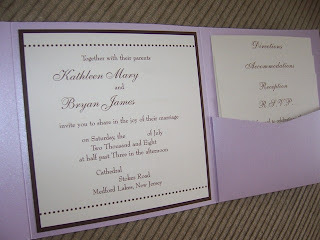 She chose a shimmery lilac square pocketfold with chocolate backing and subtle touches of polka dots. 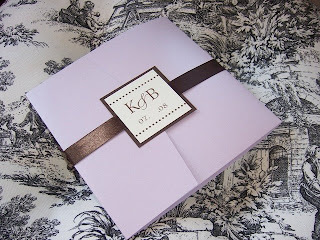 We used a chocolate satin ribbon bellyband to seal the package- Love the look!